The Horse Property Specialist for the North Bay area. Representing buyers and sellers of fine ranch and country property throughout Sonoma, Marin and Napa counties. Real estate + horses are my loves. Specializing in Horse property, ag property, ranches, and every aspect of real estate. I am a member of several Horse clubs, and a horse owner. Call or e-mail me for information, Automatic notifications, help with mortgage mods, short sales, buying or selling, resources. A Home for you and your Horse! Lisa's a lifelong equestrian with 25 years of real estate experience. Lisa moved back home to Nevada, a GREAT place to live! Located at the base of the Sierras, minutes to world class skiing, mild climate, no state income taxes! Areas served include Genoa, Gardnerville, Minden and Carson City. A top-notch real estate professional who knows the luxury market AND has an in-depth knowledge of the essential needs of your horses ~ I'm here for you to lean on, whether buying or selling! Growing up watching her Grandmother sell residential real estate and broker land deals including vineyards and country estates Sonya naturally speaks the language and has been involved in real estate in some way, shape or form all her life. As a real estate broker/owner and the leader in East Contra Costa County Horse Properties, I have over 15 years experience with land listings and purchase. A supporter to many community services, centrally located in Downtown Brentwood. 5 Star Rated, The Leader in Selling Equine Estates. Selling country and horse properties for 17 years in El Dorado, Placer, Amador and surrounding areas and loving it! I can help you find that great country property at a great price. Kay Stromgren has been listing and selling ranch, ranchette, rural, rural estate properties since 1985. "I love what I do"...I have lived on rural property for 35 years and understand the needs, concerns and desires of people who want to live this life style. Put my experience to work for you today! Specializing in horse property, farm and ranch properties in addition to homes, luxury estates and more. Serving Contra Costa including Clayton, Brentwood, Martinez, Walnut Creek, Lafayette, Orinda, Concord, Danville, Alamo. Free home search. Proudly serving the equestrian community of the Bay Area. Realtor specializing in horse properties. Have been involved with horse rescue, 4H, and as of this year High School Rodeo. Working hard to help you and your horses find a happy home. Simple, Straightforward Real Estate. Realtor since 2001. Works throughout Sacramento, El Dorado, Placer, Yolo and Nevada Counties. Farm & Ranch Division of Keller Williams, Listing Specialist. Serving agricultural properties for 40 years. 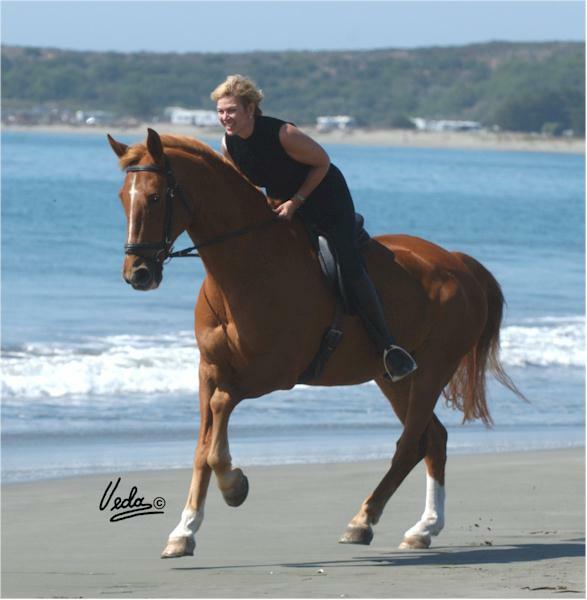 Lisa is a lifelong equestrian who specializes in horse and country properties. Lisa is a second generation Realtor and has over 20 years of real estate & appraisal experience. Serving Silicon Valley: Wodside, Los Altos, Portola Valley, Saratoga, Los Gatos, San Jose, San Martin, Morgan Hill, Gilroy. Prices are still in your best interest! Strike it rich in Gold Country - Selling El Dorado, Placer & Sacramento Counties, home to the Tevis Trails! Specializing in country properties. I own and have shown horses all my life. I can assist you in selling or buying that perfect country property. Horse & ranch real estate expert representing everything from heirloom properties to working ranches to raw land in Santa Cruz on the Monterey Bay! Focusing on real estate featuring equestrian properties, ranch properties, and residential properties. Located in Sonoma with access to all North Bay counties and beyond. We offer experienced Real Estate service for buyers and sellers in Jackson, Josephine, Klamath, Douglas, Coos, and Curry counties. A Horse Property For You! Cyndi Biltoft, Realtor/GRI/Notary, Valley Pty. Davis & Davis Associates, Ltd.
Debra Miller, Equestrian Properties El Dorado Cty. Gabriele Santi - American Financial Lending, Inc.
Real Estate for Horses and Their People!